Hot on the heels of the anonymous tip that we received earlier today, we have also discovered what seems to be a mock website for webe – a brand under P1 that is a result of acquisition by TM. Developed by a digital agency called Grey Digital based on the identity of the domain that it was hosted on, the site is no longer online but web caches from Google have revealed what webe might have to offer for Malaysian consumers soon. 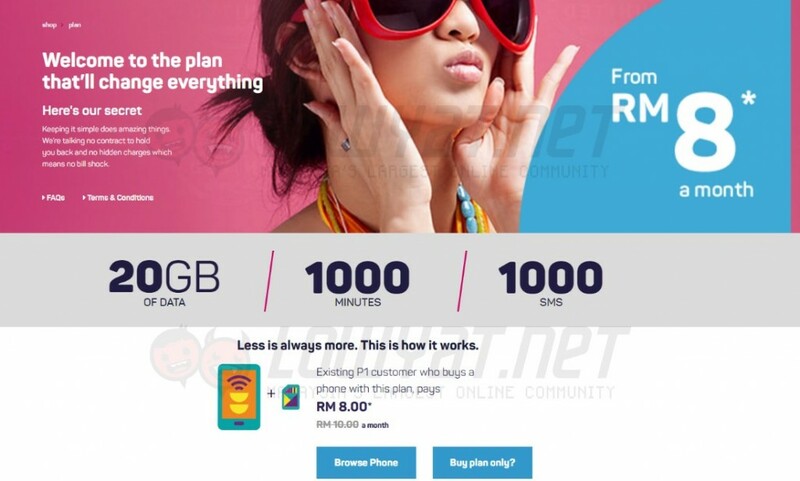 According to the cache, webe apparently will be offering a plan with 20GB of data, 1000 minutes talk time, and 1000 SMSes from as low as RM 8 per month (or RM 10, according to a separate source). With no contract obligations, this will be offered to existing P1 customers who purchase a phone together with the plan. 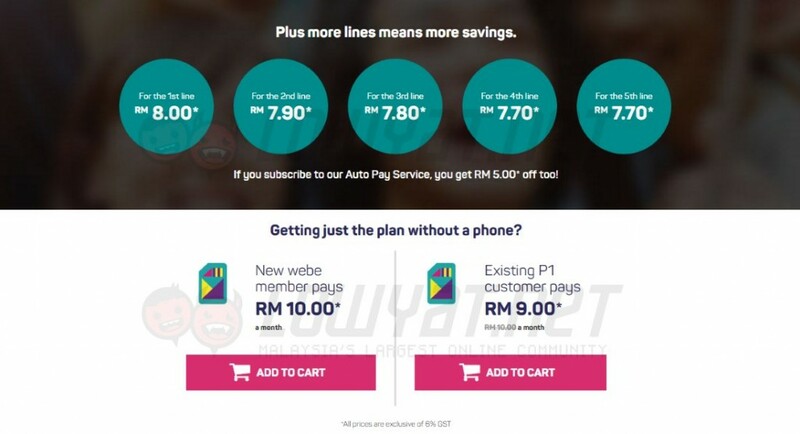 Those who choose not to buy a phone alongside the plan will be charged RM 9 for existing P1 customers while non P1-customers will have to pay RM 10 per month. 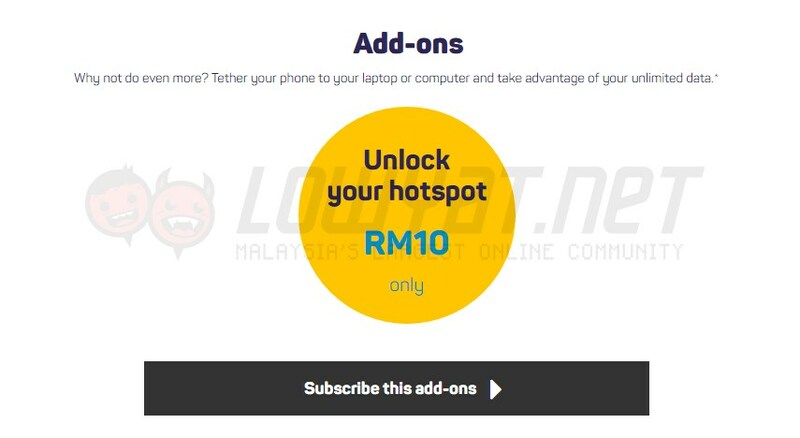 As weird as this might sound, it seems that customers might need to fork an additional RM 10 in order to enable tethering for their plans. 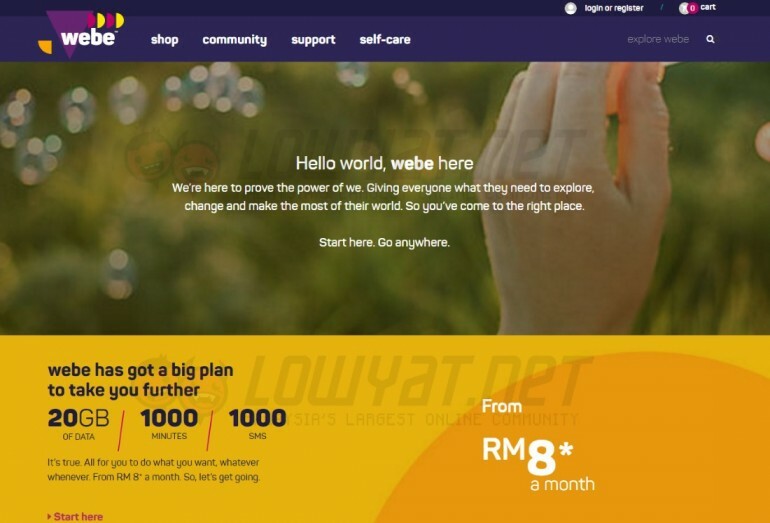 Meanwhile, the web cache also showed that webe will be offering an unlimited plan for RM 80 per month. 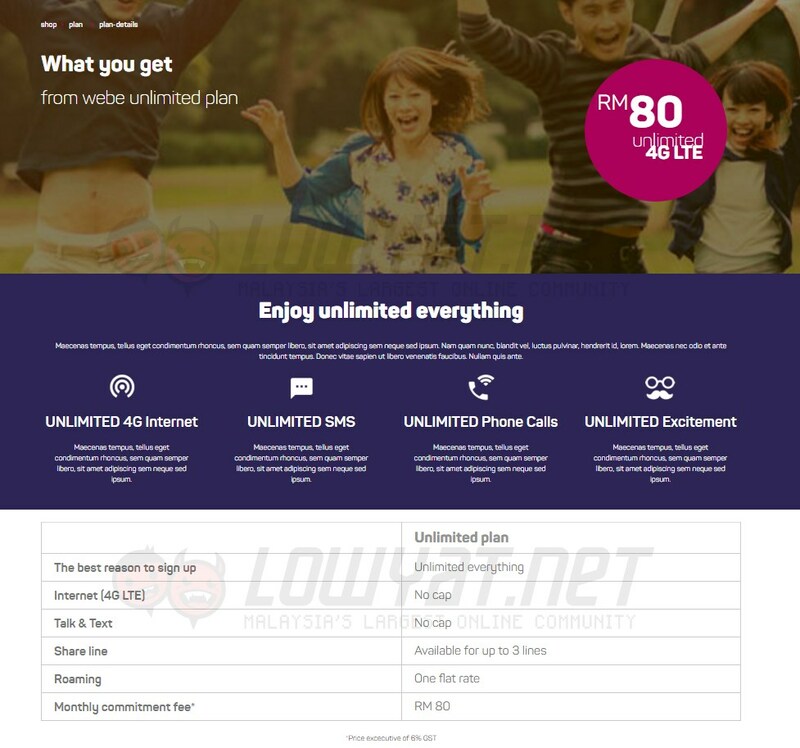 By unlimited, the telco actually meant unlimited in every single aspect of the plan: unlimited LTE internet, and unlimited calls as well as unlimited SMSes. Not only that, customers will apparently able to enjoy a flat roaming charge and share their line with up to three people. As interesting as the information above might look like, it is highly possible that the finalized plans and pricing will be different from what we’ve seen above – these are based on web caches after all, with several empty placeholders. If they are true though, exciting times are coming ahead. With that, do stay tuned for P1’s big announcement day on 13 April to see how accurate all this information will be.